Can you spot what is unusual about these elevator buttons at the Noble Crown Hotel, which we stayed at one night in Wuxi, China? Hint: Note what floors are missing. The words for “Four” (Pinyin: sì) and “death” (Pinyin: sǐ) sound the same in Mandarin, just with different tones. Thus, four is unlucky. The number 13 is unlucky in western culture. (See Wikipedia for why that is.) 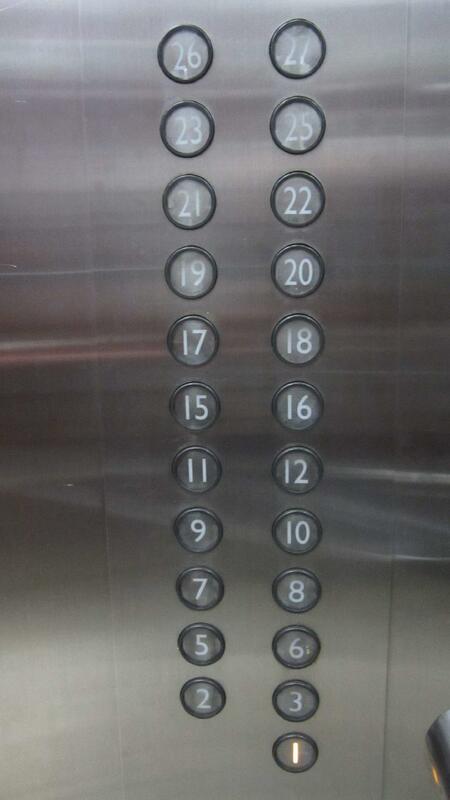 On the other hand, 13 is lucky in Chinese culture, but I guess it was omitted to be on the safe side. Speaking of numbers and luck, eight (Pinyin: bā) is considered a lucky number in Chinese culture because it rhymes with “to prosper” (Pinyin: fā). Hence it is very desirable to have the number eight in one’s license plate. Telephone numbers and license plates with multiple eights in them have sold for ludicrous amounts.